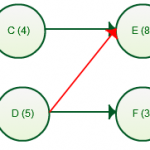 How can we make drawing network diagrams easier? The answer is by providing plenty of network diagram templates and the right shapes. Below are some network diagram templates that will be really useful for network designers, network administrators and anyone looking to come up with a quick network diagram. You can download them or modify them online using Creately’s network diagram software. Simply click on any image to get started. These are just samples to get you started, once you start you can make use of the extensive set of library objects and we’ll even load them for you. 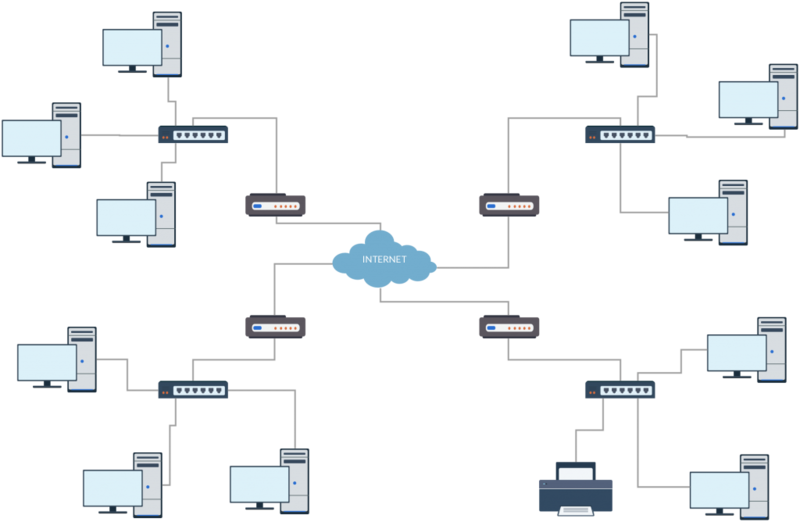 Lets get started with a network topology diagram. 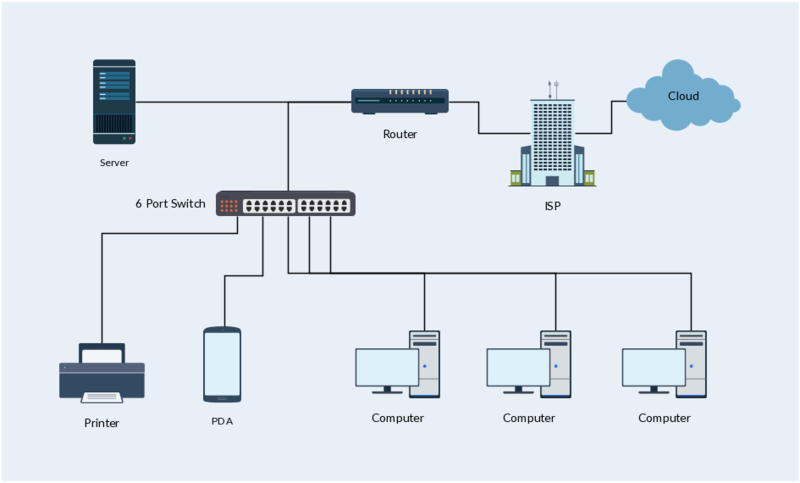 Network topology diagrams are frequently drawn by network administrators and network designers and the below topology diagram template makes it super easy to get started. A network topology diagram template, click on the image to modify it online. 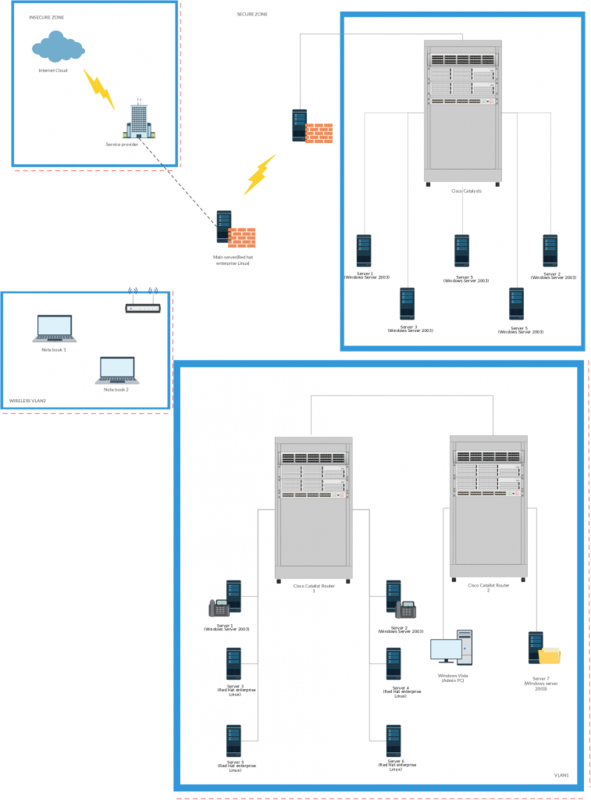 We have added a large number of Standard Cisco diagram objects for network administrators and network designers who prefer drawing network diagrams using Cisco objects. Below is a simple Cisco network diagram template which includes a few Cisco objects, but you can find plenty more Cisco objects at our library. An office network diagram template that makes use of grouping and some other network diagram objects available in Creately libraries. 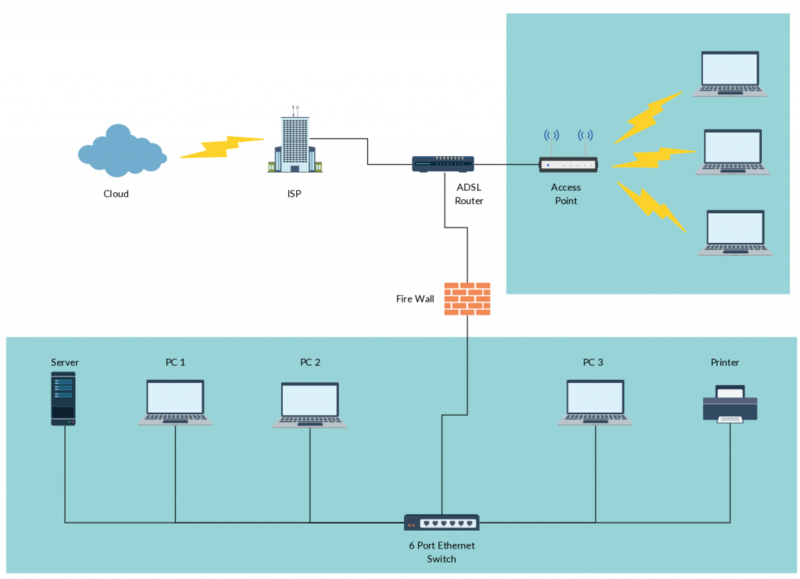 Rack diagrams are another important diagram type when it comes to drawing network diagrams. 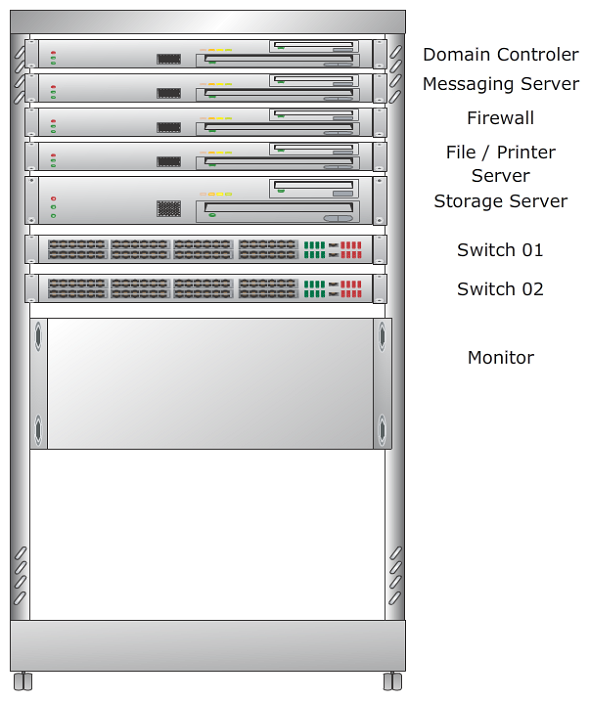 At Creately, we have quite a few rack diagram templates so you can get started quickly. Shown below is a rack diagram template which has some rack diagram objects, and there’s plenty more in our rack diagram objects library. The following network diagram template shows the network architecture between a head office and two of its branches. 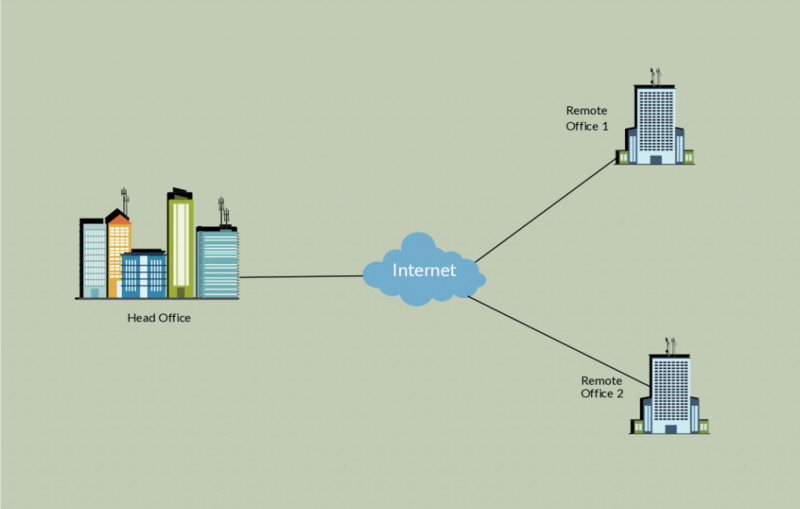 There could be more than one office branch that is connected; you can click on the image and expand this high-level office branch diagram to suit your organization. An office network should be segmented into different zones to increase security against attacks to the system. The network diagram template below illustrates how your local network can be divided into different zones. You can use this diagram as a template to create a network diagram representing the zone segmentation of your office network. This simple network diagram template shows a network access point representation for your home or office. 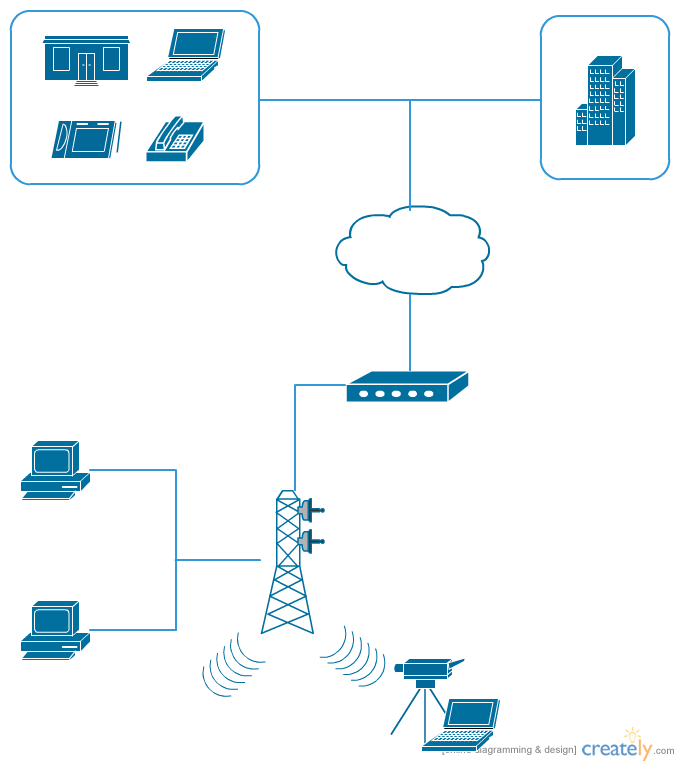 Click on the image to expand the diagram using our network diagram objects. The following network diagram template represents a Virtual Private Network (VPN) between three branches of an organization, and it has used diagram objects of the Cisco 800 series. You can click on the image and make changes using the Creately diagram editor. 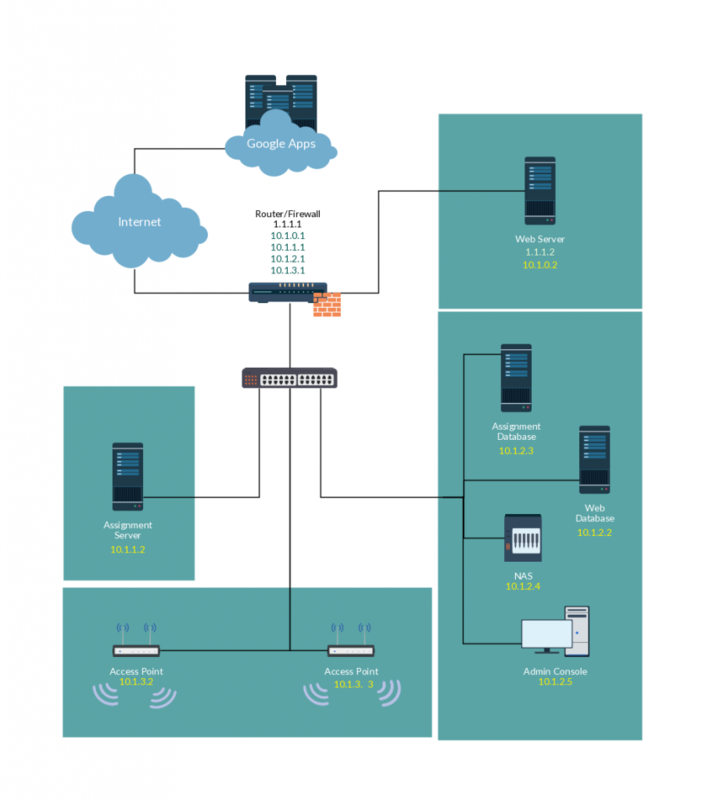 This network diagram template is that of a small office network on a single subnet. The following diagram template shows the architecture of a Virtual Local Area Network. This is a very simple diagram template that shows the structure of a basic network. You can use this template as a good starting point to begin drawing your own network diagram for your office. Shown above are few of the network diagram templates available on Creately. 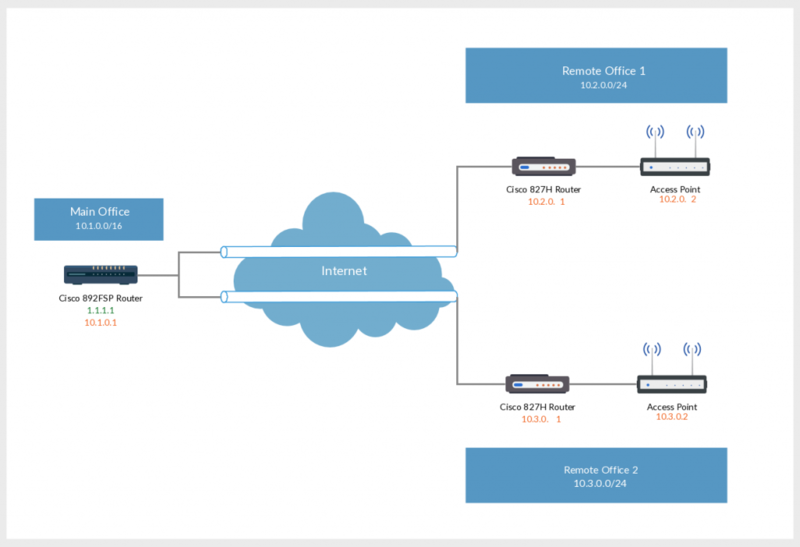 More templates are added every month, so make sure to check out our full list of network diagram examples. 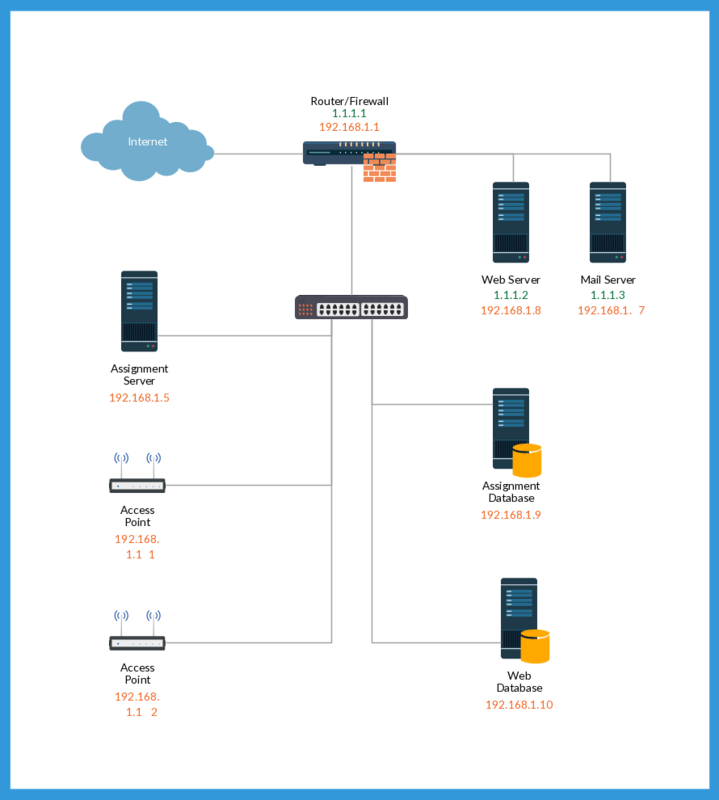 Want a more specific network diagrams template? Contact us at support@creately.com or simply leave a comment below. Can you help me with my Network Design project for my class? Thanks for the templates. Always handy!